Does Laser Wart Removal Work? If you have tried to get rid of warts using standard treatments unsuccessfully then it is time to opt for laser wart removal. Laser wart removal in Dubai is a quick procedure but it cannot be done at home. During the surgery the wart tissue is destroyed by an intense beam of light. The recovery period for laser wart removal is about 2-4 weeks and several sessions are required for optimal results. During the procedure the doctor will either numb the area that the warts are being removed or put you to sleep depending on where the warts are and how many they are. You have tried a number of different treatment and they have failed. This is a good choice for the warts that are around the toenails or fingernails. The laser is used to cut away the top of the wart then a less focused beam is used to burn the remaining part. This type of laser leaves more scarring than others. 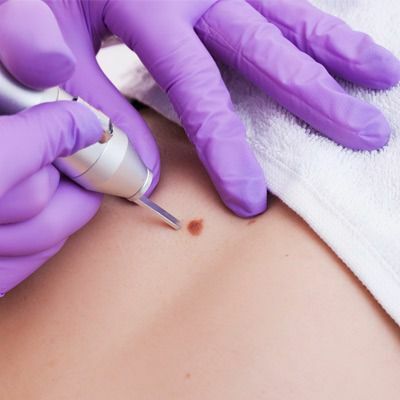 Pulsed dye laser is the main type of laser that is used to remove warts. The blood vessels in the warts get heated up by the beam from the laser hence destroying them. The wart eventually falls off and dies because its blood supply has been cut off. The heat from the laser can also attack the virus that causes the wart and destroy it. This type of laser targets the blood vessels in the wart therefore going deeper. It is also used to treat children who have wart-like tumors in the mouth or throat by beaming the light through a fiber optic cable to zap the papillomas. They share the same virus as warts. This laser heats up a small area with precision and does not cause much scaring. Also read Benefits of laser warts removal treatment. Laser wart removal works since it is the last resort when it comes to warts removal. It also has minimal risks compared to other methods. You Don't want to Miss Our Offer on Warts Removal Dubai . Fill in The Form To Avail Our Special Offer For You!